Who doesn't love a good ghost story? And ghost stories abound in the city of dreaming spires. Now, I've never seen a ghost, but I know people (very intelligent and well-adjusted people) who swear that they have. So I'm willing to keep an open mind. I'm not surprised that there are many supernatural sightings in Oxford. The city is amazingly romantic at night, when the day trippers have left and it is the haunt of students, Oxonians, the homeless . . . and hoards of teenaged foreign language students. The other day I spied the almost full moon (a bomber’s moon) that appeared to be stuck in the towers of All Souls College. How beautiful is my adopted city? Yes, Oxford is beautiful, romantic . . . and ghostly. 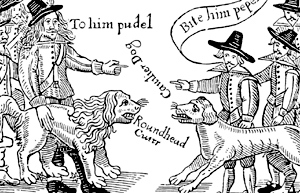 Probably unsurprisingly, most seem to relate to the English Civil War, when King Charles had his headquarters in Oxford. I thought I’d share some of Oxford's most famous ghost stories. 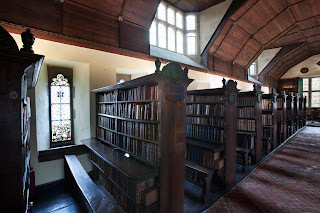 Lovely Merton College library (below) has the ghost of poor Colonel Francis Windebank, a Royalist who was executed by his own side in 1645, during the English Civil War. It’s a sad story. 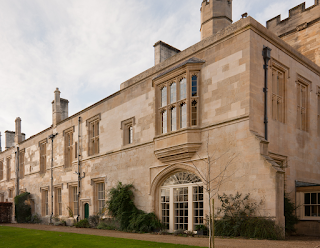 Windebank was a young, newly married colonel in the Royalist army and was appointed governor of Bletchingdon Park, near Oxford (below). In April 1645 he invited his young wife and friends for a ball at the house to raise their spirits (not the ghostly kind). But a Parliamentarian spy may have been present, as during the ball the house came under attack by Cromwell’s forces. The house was well protected, and probably could have withstood the attack, but Windebank surrendered immediately. It is likely that he did so in order to protect the lives of his wife and friends. 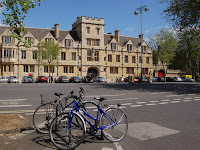 Windebank went to explain to the King in Oxford (where the King had his headquarters), but his excuses were not accepted and he was tried by a Royalist court-martial for failing to protect Bletchingdon Park. They took just three hours to find him guilty and sentence him to death by firing squad. 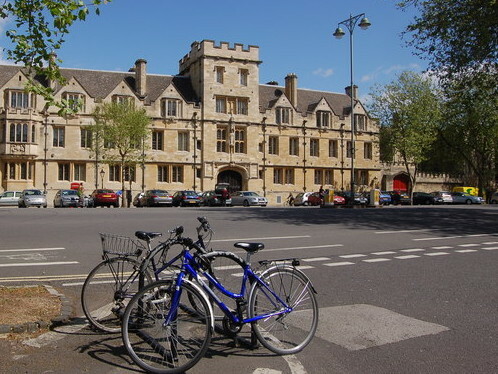 Windebank’s ghost haunts the site of his execution at Dead Man’s Walk, (above) which abuts Merton College, and has also been seen in the college library. He’s a well known Oxford ghost, and is thought to haunt because of his lingering feeling of injustice at being executed for what he considered a chivalrous action. It is also said that Colonel Windebank walks around on his knees. Rational thinkers (?) say that it is more likely that he is walking on the original (lower) ground level of the seventeenth century. I couldn’t find a picture of poor Francis, but here’s a generic Royalist Cavalier, so if you’re wandering along Dead Man’s Walk, you’ll know what to look for. In my husband's family Wadham is known as Wadham-Oh. His uncle was a student there in the '50s and when someone asked him what college he was a member of and he said "Wadham", the inevitable reply was, "Oh." 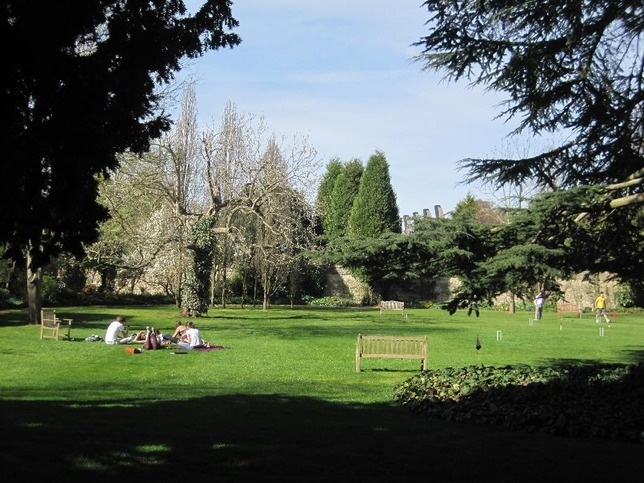 And yet Wadham is not a new college. 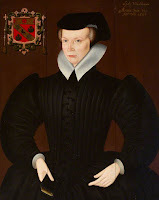 It was founded in 1610 by Dorothy Wadham, in accordance with the terms of her late husband's will. She was the first woman not of the Royal family to found a college at Oxford. The land she chose was originally the site of an Augustinian Priory. In those days its lovely gardens were a series of orchards and market gardens. Perhaps this is why Wadham's well-known ghost is thought to be a priest. A white figure in robes walks from the chapel door (in the left-hand corner in this photo) across first quad and into the hall (in the right-hand corner, out of sight), and then across the hall to vanish just in front of High Table (below). I go to the College every year to see Shakespeare performed in the gardens. This year it was a lively production of Love's Labours Lost. In the interval I went from the garden, past the chapel door and into the first quad to visit the amenities, but I didn't see the resident ghost. One of my favourite places at night in Oxford (and during the day) is the atmospheric New College Lane, which becomes Queen’s Lane once past New College. Down this winding lane the cavaliers rode on their way to do battle with Cromwell’s New Model Army. 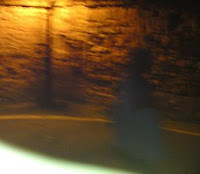 Another tourist captured a ghostly image in that very lane (left). I have to admit to feeling a real sense of spookiness if I walk down that lane alone as dusk falls. The wind dances through the winding lane, picking up little sounds and magnifying them. It has a sense of timelessness that is compelling. The distinguished College has a most distinguished ghost, Archbishop of Canterbury, William Laud, who was beheaded in 1645, after being impeached by the Long Parliament. (The Long Parliament lasted from 1640 until 1660, and passed, among other acts, the first Habeas Corpus Act – which as a lawyer gets me quite excited, because a Writ of Habeas Corpus provides that the Crown must “certify the true cause” of imprisonment. It’s one of the fundamentals of English and Australian criminal law). Laud was educated at St Johns, and his bones are buried under the altar of the chapel. 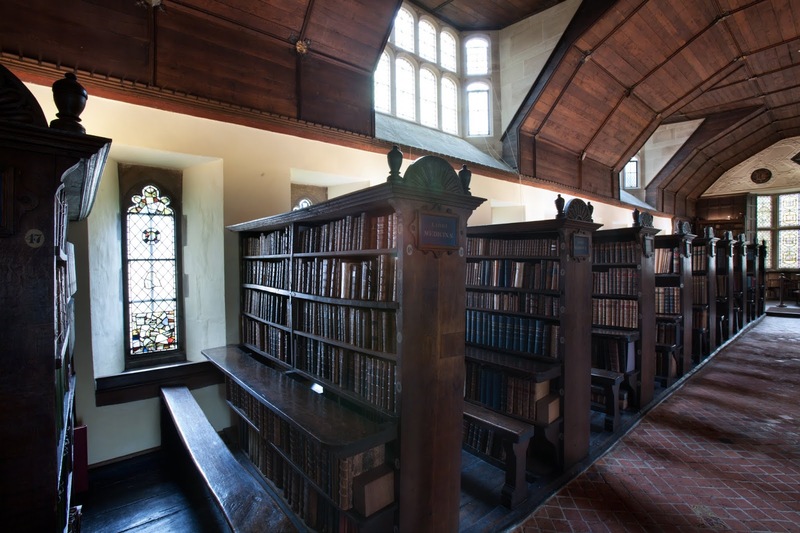 His ghost has been known to disrupt students in St John’s College Library. Some say he pulls his head from his neck and rolls it at people, others say he kicks it along the floor with a candle in his hand. Here’s the library where he plays football with his head. 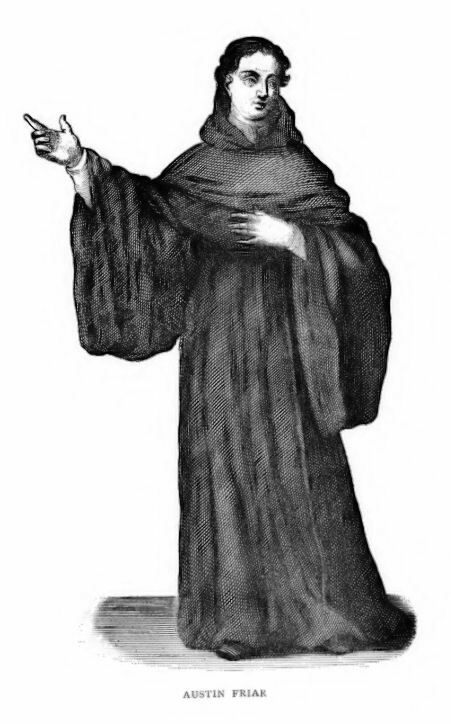 The wonderfully named Obediah Walker (the ghost who walks – get it!) was the Catholic Master of University College in the seventeenth century. He tried to follow James I into exile in France but was captured and imprisoned for ten years. When released he was a broken man and his ghost supposedly haunts Staircase VIII (where the Master’s residence used to be). the place where Walker walks. 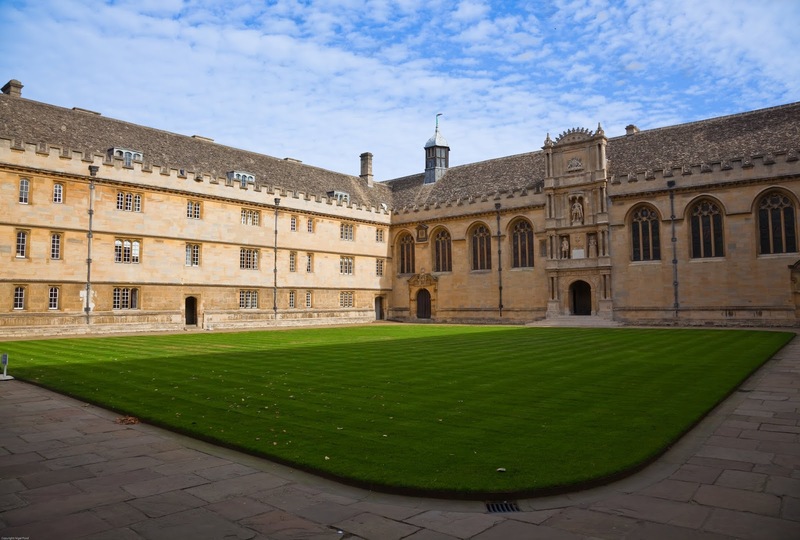 Oxford was a Royalist stronghold during the English Civil War. The King made the Christ Church College Deanery (below) his palace and held Parliament in its Great Hall (right). 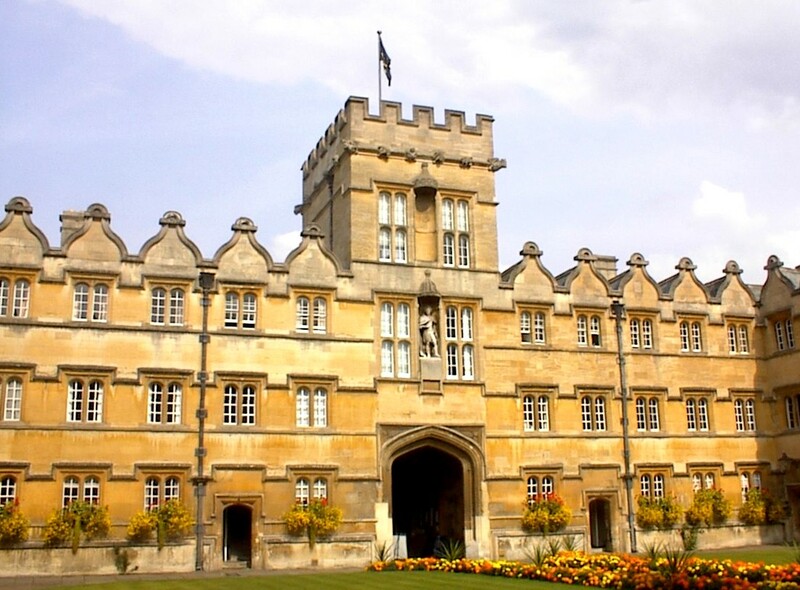 The spirit of King Charles I has been known to appear in the grounds of Christ Church College and in the Great Hall, sometimes with his head, sometimes without. Apparently King Charles also appears in the Bodleian Library. 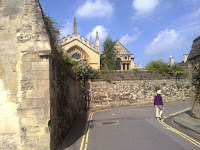 While in Oxford, the King was denied leave to take books from the Bodleian in 1645. He has been seen at night running around in the upper reading room pulling books from the shelves reading one line and placing them back in an endless game of fortune telling, again sometimes with and sometimes without his head. In the former bank that stands on the corner of Magpie Lane is now the Quad restaurant, and I had a lovely brunch there last Thursday. Next door is the entrance to delightful Magpie Lane. 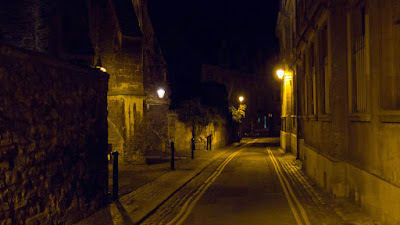 The lane leads to Merton Street and is reputedly haunted by the ghost of Prudence Bostock who died of a broken heart when her Cavalier lover ran away. She continues to roam the lane in the hope that he will return. Really enjoyed this -- thanks. Who would have thought Laud had such a sense of humour? As for Charles I running round the library headless, snatching books at random, reading one line and paying no attention to the rest -- I believe it! Sounds exactly like him. Our present government is obviously styling itself on his ghost. Thanks for this. As another resident of Oxford, I shall keep my eyes peeled for all these ghosts from now on!